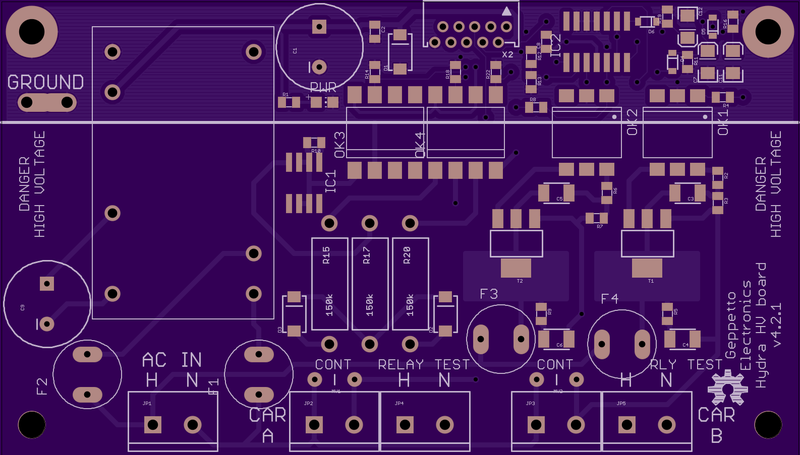 2 layer board of 3.95 x 2.25 inches (100.3 x 57.2 mm). Uploaded: March 12th, 2015 17:47. For build instructions, see the OpenEVSE wiki. 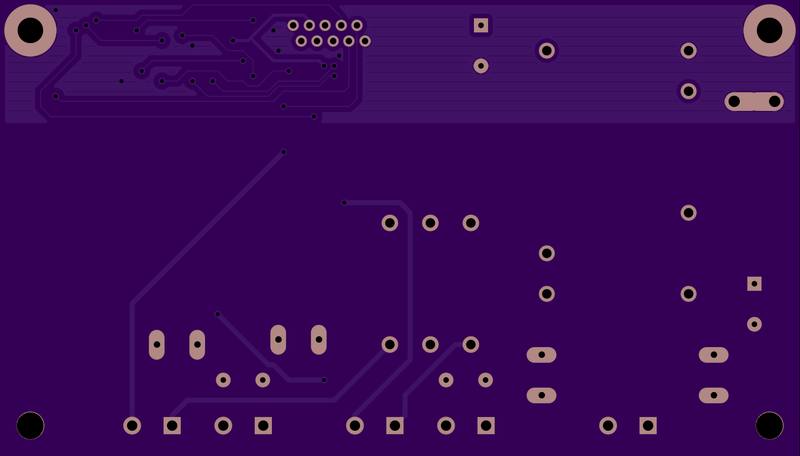 2 layer board of 3.85 x 1.45 inches (97.8 x 36.8 mm). Uploaded: March 8th, 2015 09:04. A new design for OpenEVSE. This is the logic/display board. 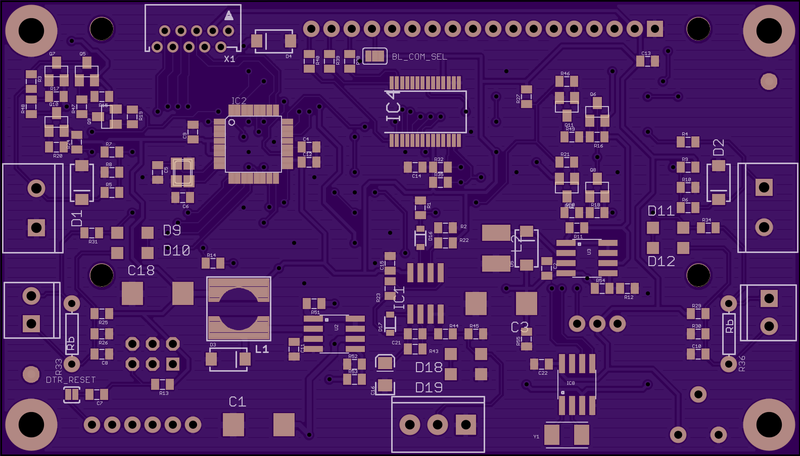 2 layer board of 3.96 x 2.26 inches (100.6 x 57.4 mm). Uploaded: January 21st, 2015 20:23. For build instructions, see [the OpenEVSE wiki](http://code.google…. 2 layer board of 1.50 x 0.80 inches (38.1 x 20.3 mm). Uploaded: February 13th, 2015 17:25. A voltage-agile SMD AVR programmer. QFN/SSOP variant. This version adds a recovery clock pin. 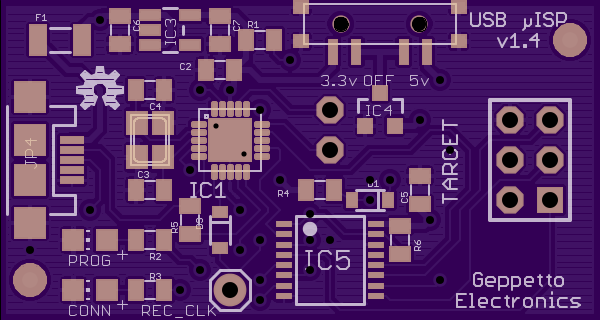 With a slight mod to the firmware, the recovery clock pin will have a 500 kHz square wave during programming. 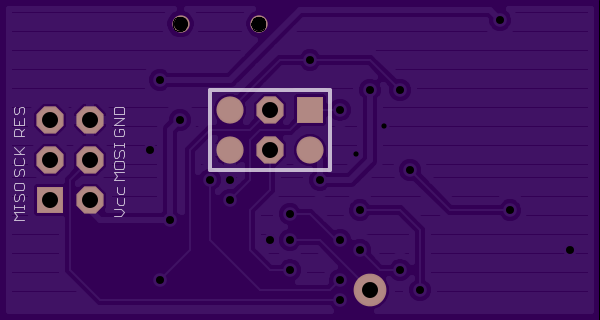 2 layer board of 0.50 x 1.10 inches (12.7 x 27.9 mm). Uploaded: January 24th, 2015 17:29. 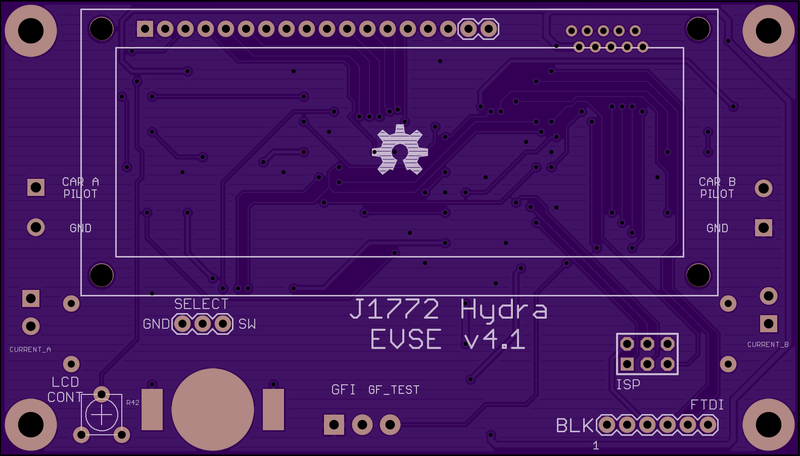 For OpenEVSE / Hydra debug and dev. Ironically, this design was created, uploaded and ordered during a power failure.